Home Why is Cyber Security Essential for Online Businesses? Vulnerabilities in the software you use, websites you access, and email links you open can be manipulated more easily than you think. And if you believe that your online business is safe and doesn’t need cyber security, then just remember the WannaCry ransomware attack of May 2017 that affected more than 300,000 computers across 150 countries, and caused a combined loss of millions of dollars. Here is the thing- if you are online, you are always at risk. But with the best security for the internet of things and antivirus programs, you can prevent almost every kind of cyber-attack. It seems there is no stopping the online attacks. In fact, these are only increasing in number every year. The F-Secure labs found that the cyberattacks grew more than twice from 2016 to 2017, clocking in at 223%. Even more alarming is the fact that the rate at which the new types of malware are being launched is also increasing in a similar fashion. For instance, in 2017, every 4.2 seconds a new malware specimen was uploaded on the Internet! You do the math. It goes without saying that unless you take the necessary measures, you can expect an easy attack on your online business. After all, there are too many types of malware and other forms of online attacks such as phishing, DDoS attacks, malvertising, and more. The concept of the Internet of Things (IoT) is not new anymore. It’s happening even today is not just big businesses but small businesses as well. If you are using Wi-Fi in your office space to access the Internet via phones and computers, then you have a small IoT network of your own. And while IoT has a huge potential, it can be easily manipulated by the hackers because of the multiple access points that it creates. You absolutely need a quality free IoT scanner that can protect your network from all kinds of cyber attacks. This is because it monitors your network on a constant basis and identifies any suspicious devices that connect to it. This way, you can prevent any potential attack before it brings upon any actual damage. A small business has all kinds of details of their customers and vendors- contact details, banking details, social security numbers and more. So, the hackers know that if they are able to get their hands on this information, they can demand a fat ransom easily. Otherwise, they can directly misuse this information and steal money from the various bank accounts. When people do business with you through your online platform, they expect a certain level of protection. So, it may take just one successful cyber attack for all of them to lose the faith and end your entire business once and for all. Almost every country in the world has its own rules and regulations for online businesses. This is because online sellers are always at risk of data theft, and the government organizations want to ensure that customers’ privacy is protected. For instance, the Payment Card Industry Data Security Standard (PCI DSS), which is a set of industry standards meant to protect the payment card data of individuals, is to be followed by all merchants. Then there is HIPPA (Health Insurance Portability and Accountability Act of 1996), the violation of which has cost many businesses millions of dollars. There are a number of complex IT compliance standards that you have to follow to avoid huge penalties and/or legal action. 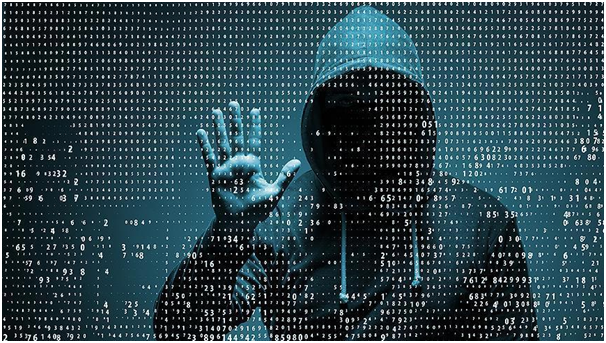 However, the majority of these violations are because of data breaches, which can be easily protected against with a robust security of the Internet of Things and other aspects of your online business. If you are still managing your online business without any kind of comprehensive security system, then you are taking a big risk. It’s important for you to handle the security front as soon as possible to stop a big disaster from taking place. Besides, software and Internet security have become a lot cheaper today, which is why you have no reason not to look into it.